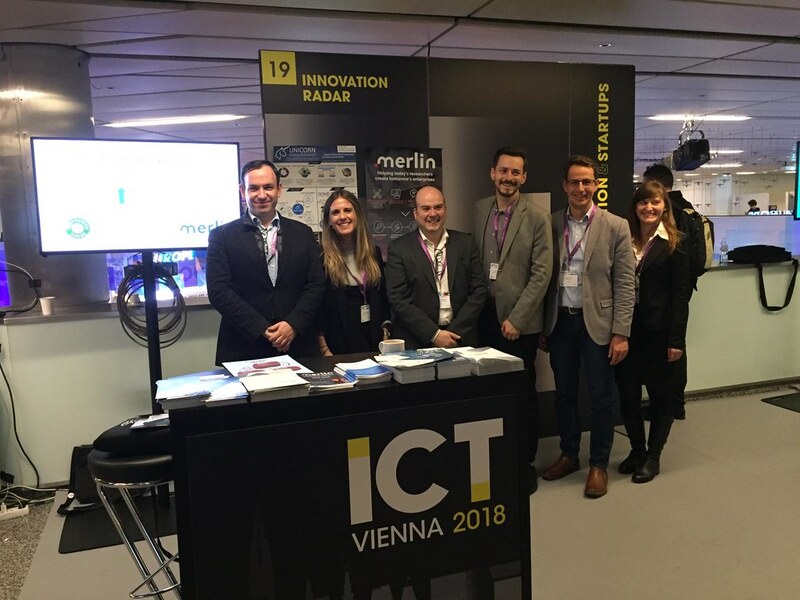 MERLIN and IRSUS projects shared a stand in the “Innovation and Startup Forum” at the ICT Vienna 2018. This forum brings together market-oriented innovators and investors, and presented marketable research and innovation results from EU-funded projects. During two very fruitful days, members of both projects presented the results of the first year, and participated in the different events that were part of ICT Vienna. We talked to many visitors who were interested in taking part on the activities organized by both projects, or who wanted to organize some MERLIN workshops on their home institutions. As part of the activities of the Innovation Radar, the final of the Innovation Radar Prize was held in Vienna. Check awarded startups at this link. Some more photos are available on our Flickr account.